Reviewing consumer reports on digital cameras may help potential buyers select the best camera for them. Consumer reports provide information based on reviews of the available cameras on the market. It isn't difficult to find consumer reports on digital cameras online. Anyone who has purchased online over the past few years can easily write their own review on many retail websites. There are also professional review websites that are written by experts who regularly test products for the marketplace. The following are a few of the numerous reporting websites available to the consumer. Consumer reports on digital cameras that are written by experts may be biased, which may explain why more consumers are turning towards the ones written by people who have actually purchased the product. Professional consumer reports are generated by polling individuals who have been given products to test. The individuals run a product, like a digital camera, though its paces to see what works best or what doesn't work at all. There is a specific number of people who participate in the test. In the end, the results of the test are compiled and the statistical information is then published either online or in a mass-market publication, such as Consumer Reports. Consumer Reports requires a paid subscription in order to access information. ExpoTV features video reviews of products, including digital cameras. 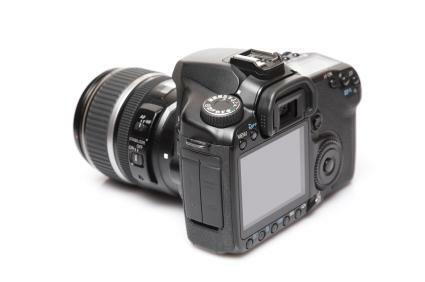 PC World covers peripherals, including the latest digital cameras that have hit the market. Consumer Search offers a compilation of reviews found around the web. It features the current reviews on cameras from all of the major review websites. BizRate is written by consumers, for consumers. The only drawback may be that the reviews are usually written within the first month after purchase. NexTag provides very detailed information on each type of digital camera. Information includes average user rating, specifics on the product and price range. Amazon.com allows you to search for digital cameras that you're interested in and then page down to read reviews written by consumers who have bought the product. You'll find the good and the bad, often written by enthusiasts who tell it like it really is. Target is another retail website utilizing consumer reviews. This website allows consumers who have purchased a particular product to come back and let others know just how good, or bad, a product really is. Which reviews are the most valid? It depends upon your viewpoint. While some say the statistical method used on most paid sites is most reliable, opponents point out that there may be some bias when advertisers pay to promote their products. Then there are the consumer-driven reports that are written by the end users. While the statistics may be skewed, since not everyone writes a review after they buy a product, they provide insight from people who either absolutely love, or hate, a particular item. Perhaps the consumer would be best served by reading a little of both.